SUSAN ELIA MACNEAL: Delighted to introduce the amazing Twist Phelan. 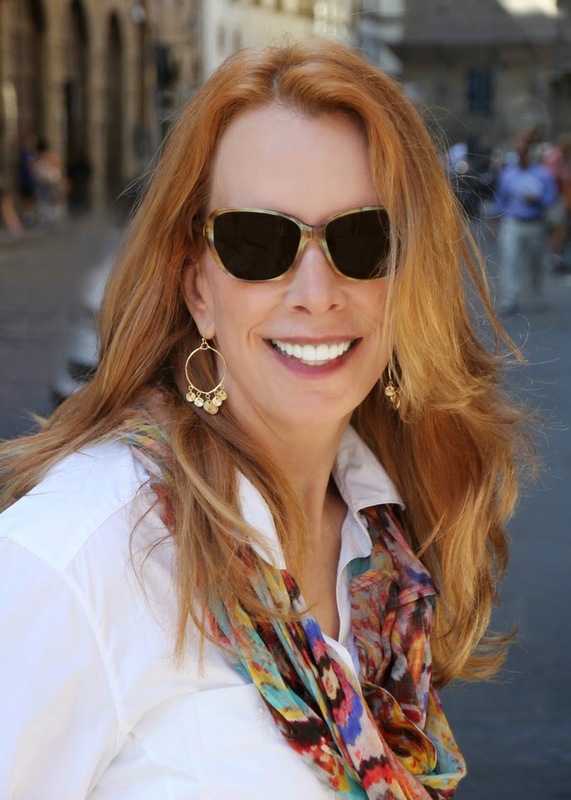 Twist writes critically-acclaimed and award-winning short stories (I got to pick up her ITW Thriller Award in New York this year, because she was off in an exotic land!) and the legal-themed Pinnacle Peak mystery series (Poisoned Pen Press). A different sport sets the theme in each of Twist's Pinnacle Peak, Arizona legal-themed mysteries. (Before becoming a full-time traveler and writer, Twist's was a lawyer, specializing in putting away bad rich white men.) 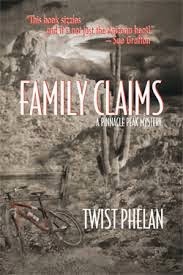 HEIR APPARENT highlights team roping, while road and mountain biking is the lawyer protagonist's sports passion in FAMILY CLAIMS (Best Mystery, Colorado Gold Writers Contest; Calavera Award Finalist). In the third book in the series, SPURRED AMBITION (a Book Sense Notable Pick), rock climbing is the athletic focus, while FALSE FORTUNE features kayak paddling. In addition to all the sports, Twist is an unparalleled traveler. Here is her take on wanderlust and travel. TWIST PHELAN: Wanderlust is one of those great words borrowed from the German language (cf., schadenfreude, entlistungsfreude). Not-so-great romcom aside (sorry, Paul Rudd and Jennifer Aniston), the word gives most of us good feelings. It's that desire you feel from within to get out there and explore: to see the world, to daydream about all the places you could go. 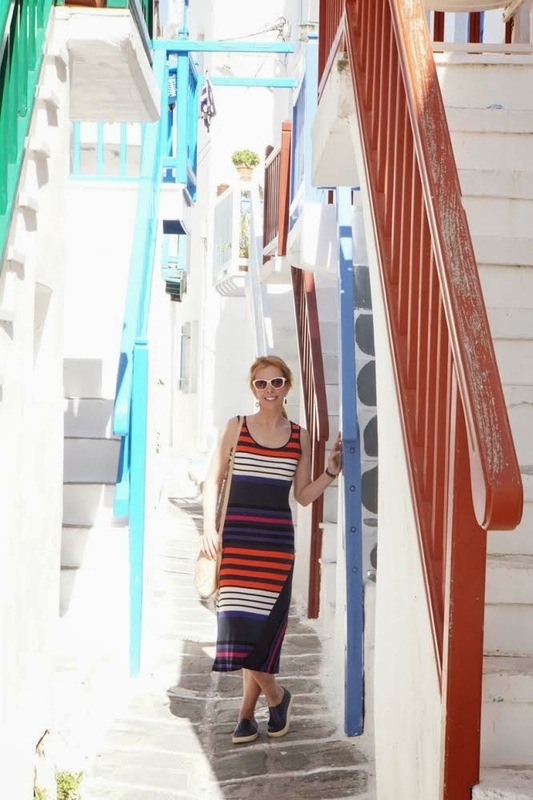 About a year and a half ago, I stopped daydreaming and started traveling (again, that is; I lived on a boat for ten years in my thirties and spent that time going around the world). In the past eighteen months, I’ve visited Italy (twice), France (twice), Spain (twice), Portugal, Morocco, Germany (twice), Croatia, Iceland, Australia, Thailand, Finland, Norway, South Korea, Japan, Turkey, and Greece. Next up are Ireland, India, the U.A.E., Switzerland, South Africa, Netherlands, England, Austria, Spain (again), and Italy (twice again). Why these places? To me there are two kinds of destinations: On-The-Page and Off-the-Page. I try to travel to Off-The-Page places, with perhaps a two- or three-day stopover at an On-The-Page spot en route. While I was pretty wowed by the Grand Canyon, I’ve had the same reaction to other landmarks. When it comes to some destinations, I can get almost as much satisfaction through reading about them or looking at pictures on the web as I do by seeing them in real life. Images about as much as I like looking at it in person. On the other hand, plunk me down in any town in Italy or Spain, and I am so enamored of the people/buildings /food/language/lifestyle, I immediately start trying to figure out how I can spend several months a year there, if not relocate permanently. The days fly by and too soon it is time to leave. As soon as I arrive home, I’m already planning how I’m going to return. This approach governs my choice of activities when I travel, too. What do I like to do when I land in a new country? What do I generally not like to do while traveling? · Go to museums. Perhaps it’s a case of been-there-done-that (between living on the boat and traveling with my parents a lot when I was young, I’ve visited—often several times--tons of the major and many minor ones throughout the world), but I’m just not that much of a museum person anymore (caveat: unless it’s a personal interest, such as architecture or contemporary and modern art). · I don’t buy traditional souvenirs: no Eiffel Tower paperweights for me. I prefer either an article of clothing from a native designer or a small piece of art from a local gallery. · While I like food (who doesn’t? ), I’m not someone who connects to cities through their top-tier restaurants. Don’t get me wrong: I’ve loved the meals I’ve eaten at establishments with stars after their names. But more nights than not, I’m instead dining at a neighborhood bistro in Dubrovnik or snacking from a food stall in Singapore. TWIST PHELAN: Reds and readers, how about you? How do you choose your travel destinations? What do you like to do when you’re there? Twist Phelan is a world traveler and endurance athlete. 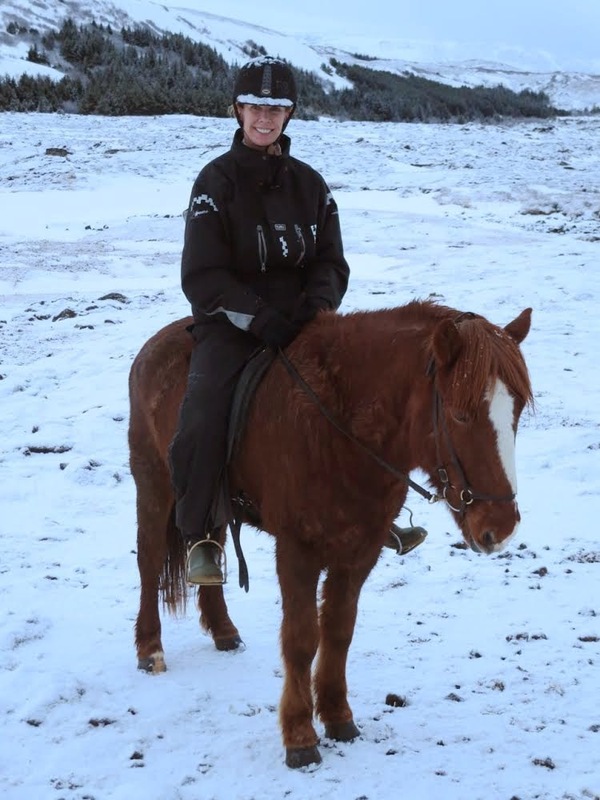 She has competed in Ironman triathlons, skate-skied in Scandinavia, team-roped in the American West, paddled outrigger canoe in Australia, rock-climbed in South America, and bicycled from the Pacific to the Atlantic Coast in less than four weeks. Twist received her bachelor and law degrees from Stanford University, completing her undergraduate studies in two years. Success as a plaintiff's trial attorney suing corporate scoundrels enabled her to retire in her early thirties to live on an ocean-going boat and in various places around the world. How did sports come to figure in your stories? Fascinating. She is living the advice I always give to young people who say they want to go to law school: don't, but if you feel you must, then do it full throttle, make a whole lot of money as fast as you can, and retire early to do what you really want to do. Going out to find-- and read-- her stories. Good morning, Reds and lovely readers! Twist is on the west coast, but she'll be coming soon. As far as I know, she travels with her husband. I've had fun following Twist's travels on Facebook. When Jan and I are in cities, we explore them mostly on foot or with public transportation. Most of our traveling is into the country, preferably by blue highways (or often dirt). Glamorous, adventurous Twist! Welcome to Jungle Red!! Like you, I prefer immersive travel rather than just 'seeing the sights' - and FOOD! (NOT white water rafting biking hiking...huff puffing) is right up my alley. Go to Peru! You'll love it. Amazing. There are so many places I'd love to go, but time and money are major hurdles right now. My daughter just got an email from her high school about a trip to Italy and Greece that looks amazing. Sadly, not in the budget this year. I'm with Twist. If I did travel, I'd like to go to out of the way places, small towns, local cafes. I dream about visiting the Italian countryside (the food, the wine, the view). Ah well, someday. Wow, I'm so envious of your travels, Twist! My middle daughter, also an endurance athlete, is about to embark on a similar odyssey, leaving on Monday to travel in Europe for as long as her money holds out, hopefully until next August. She is a competitive climber, and super long-distance runner; she just ran the 24-mile Rim to Rim Grand Canyon trail (down one side and up the other) a couple weeks ago. (That's longer than a marathon, by the way.) She has spent a lot of time traveling, ever since her first trip to Beijing, the summer before she turned 15, and has been to five continents, so far. I'm hoping to join her for part of the trip, but we can't decide on which country we want to visit together. Leaning towards Morocco. Any hints? By the way, I'm on the same travel page with you. The beach is nice, but I don't understand traveling to the same beach, over and over again. There's so much more of the world to see, taste, and experience. Oops, almost as long as a marathon! However, she has run ultramarathon distances, including a 31-mile race not long ago. Mary, your daughter should go, if she has the chance. It's worth the sacrifice, and you and she will never regret it. For one thing, it's exactly the kind of experience that gives her something to write about in her college entrance essays. For another, she will be changed, for the better, in a million ways. I'm with Twist on the unexpected places, but with Hallie on the pace. I'm more about taking long walks. In fact, last year in Scotland, I completely wore out a pair of boots from walking so much! I want to be you, Twist! So impressed by your lifestyle. I have done a lot of traveling, mainly because of working in different countries. I am definitely a sitting in cafes watching the world go by kind of traveller - soak up the atmosphere and have coffee! I'm very jealous. I would love to travel more than I am able to. Someday. Sorry to be late popping in here! I (truly) just got off a plane. :) This was a short hop to Phoenix; it was a bit startling to disembark and find everyone speaking English. Joan, I travel with my husband, who is a very good sport about going along with my suggestions. ("Ice climb a glacier in Iceland? 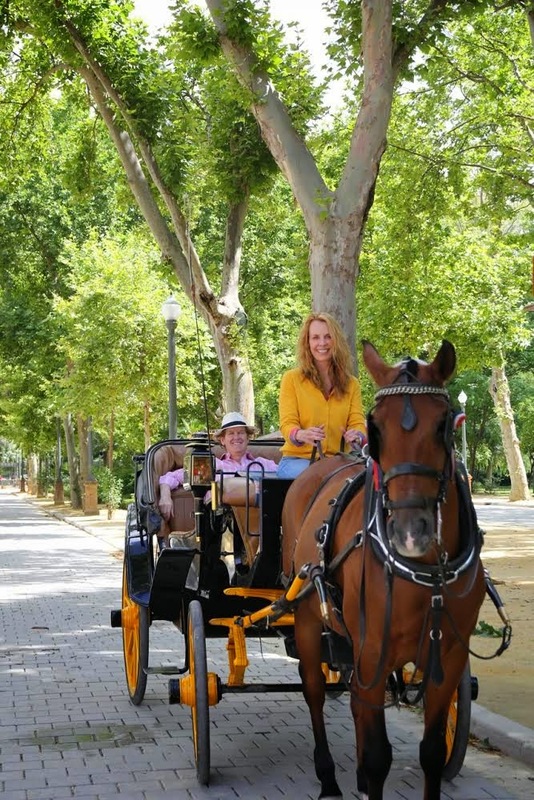 Carriage driving lessons in Seville? Sure, honey!") Sports are featured in my mystery series because I'm a lifelong athlete (Karen, kudos to your daughter; I've hiked but not run the Rim-to-Rim) and it was a bit of the write-what-you-know coming into play. Ellen, I loved being a lawyer (felt as though I were wearing the white hat every time I went into court) but stopped because there are so many other things that I enjoy, especially writing. Mary, fingers crossed there's a way for your daughter to go on her school trip. Ellen, thank you for your interest in my work. My most recent stories (written for Ellery Queen and MWA anthologies) are in a collection available on amazon called A STAB IN THE HEART. (The dollar purchase price goes to my local library.) For those of you who'd like to follow our travels, check out my personal Facebook page. I post about both the great as well as calamitous moments. (My personal motto is, "If it's not a good time, it's a good story.) Next trip up is to next week's Bouchercon, where I hope to meet some of you. Until then, travel safe! Hi Twist: We were in many of the same places as you during the past two years:loved Istanbul, Dobrovnik etc. I don't like to be cold and windswept so I tend to choose Mediterranean these days. And like you I really don't head for museums unless there is an amazing exhibition going on. And we always try to eat where the place is full of locals. And take public transport. My current wish is to spend long enough in one place that I feel myself snowing to the rhythm of that place. This year we were two weeks in the Dordogne, shopping at markets, eating on our patio. Next year 2 weeks in Corfu. Rhys, I agree about the loveliness of getting into the rhythm of a place. See you next week! "If it's not a good time, it's a good story. — Twist Phelan" Ha! I think we should have that embroidered on pillows or emblazoned on tee-shirts. I was just going to say that Susan, it's a wonderful motto! Welcome Twist--so glad you're able to have those adventures and write about them too. Susan, must hear more about where you went in Scotland, and what you loved?? I used to work for Pepsi International and I loved visiting my fellow marketers on their turf. They always introduced me to the local scene. Once I learned flamenco in a bar! 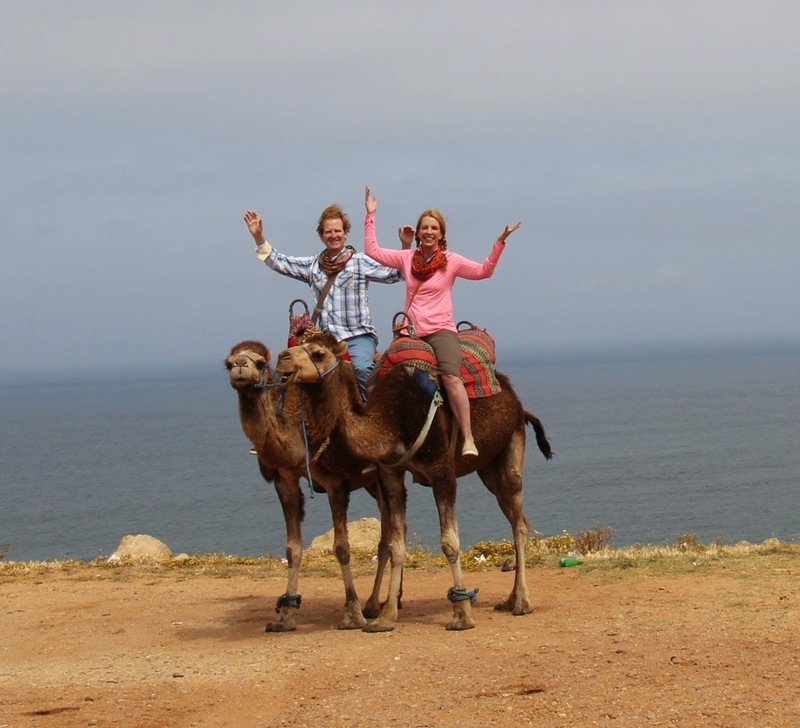 Love your travel philosophy! Hi Twist! I'm definitely on the same travel page, although not as adventurous as you. I like to stay in a place long enough to get a native feel for it. I like eating in local restaurants, walking, buses, shopping in local shops. For this I blame my parents, who took me to Europe the first few times on Frommer's "Europe on $25 a Day." Hard to imagine that now, isn't it? I can't afford exotic vacations, but I share the cost of a vacation home for a week each summer with other relatives. I love to get out and walk as far as I can in any direction so I can get a "feel" for the neighborhoods. It's especially fun for me to walk through residential areas and see what sorts of gardens people have at their homes. Sometimes one of my other relatives and I like to decide which houses we'd buy if we could afford a second home! I like to visit old people in new places. They are, I have found, the most welcoming and least rigid in spirit. I treasure the train ride I had from Copenhagen to Odense with an old woman who couldn't speak English. I couldn't speak Danish. But we talked to each other the whole way. Pointing at interesting things as we rode. Chatting, each in our own language. She looked at my ticket and made sure I got off at the right stop. It was great. Deborah, I went to Europe the first time using Frommer's "Europe on $5 Per Day" and the second time it was the $10 version. Seville is the best city in Spain for biking!! !